Maybe you’re an architect or a construction worker, so it’s literally your job to know all the ins and outs of concrete. Then again, you could just be a guy who hates traditional jewelry. 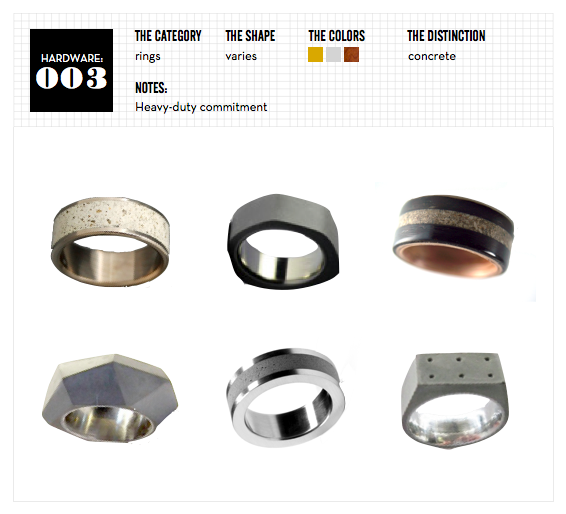 Either way, these concrete pieces add a tough side to conventional metal or unconventional wooden rings.